Is Rotten Tomatoes really to blame for this summer’s weak box office? According to one study, no. Yves Bergquist, director of the Data & Analytics Project at USC’s Entertainment Technology Center, published findings on Medium Monday, showing that there appears to be no connection between Rotten Tomatoes score and box office results. Bergquist compared box office data, according to Box Office Mojo, along with Rotten Tomatoes scores and audience scores for those titles (150 in all from 2017). He found that there was no correlation — positive or negative — between box office and Rotten Tomatoes score. Also Read: Fall Box Office Preview: After Summer Crash, Can A Strong Season Save 2017? In fact, by looking at the median scores over multiple summers, he found that Rotten Tomatoes scores are actually up by a few points, meaning that critics are liking more summer releases. Additionally, Bergquist found one correlation that was starting to add up — between audience scores and Rotten Tomatoes scores. He took this to mean that moviegoing fans are becoming more savvy and are aligning more with critics. This extra piece of information puts a pin in the belief that some movies are for fans while others are for critics, which was the excuse made for “Baywatch” following its poor box office performance. There are even more findings in the post, which you can view over on Medium. Who killed it this summer, and who should hope to have a better fall? Check out TheWrap's list of this summer's movie winners and losers. Apart from making more than $400 million at the domestic box office, the movie was critically lauded and united girls, boys, men and women all over the world -- doing did things no superhero movie has done before it. Unfortunately, Sony's "Rough Night" has only banked $22 million so far although it was produced for $20 million. Plus, it received mixed reviews from critics -- and one month later, a similar comedy (in that it starred several recognizable actresses in a tale of old friends reuniting with a wild night that gets way out of hand) performed better among critics and the box office. Jenkins directed the second biggest movie of the year -- "Wonder Woman" -- and has been an outspoken critic about female representation in Hollywood. Plus, she is in the process of negotiating a record-breaking deal to helm its sequel. Tom Cruise's reboot of the Brendan Fraser films cost a reported $125 million to produce but has only grossed $80 million domestically. Thankfully, it played well overseas, but it still received a Rotten Tomatoes score of 16 percent. Christopher Nolan resurfaced this summer with "Dunkirk," which has become a strong Oscar contender and was very well-reviewed by critics. It currently has a 93 percent "fresh" score on Rotten Tomatoes. You'd think a movie starring Amy Poehler and Will Ferrell would be a hit, but no. For Ferrell, it’s the worst opening weekend for any of his movies with a screen count of over 3,000 locations, even lower than the $15 million made in 2008 by “Semi-Pro” and the $13.8 million made by “Zoolander No. 2” last year. WB Domestic Distribution President Jeff Goldstein told TheWrap, "We’re so disappointed. We had much higher hopes." As previously mentioned, "Dunkirk" received stellar reviews and raked in a solid amount of money both domestically and overseas. It was lauded as a "masterpiece." LOSER: Any Parent Sent to Watch "Emoji Movie"
"Baby Driver" pretty much defied all expectations and had solid reviews but also made a decent amount of money. Many praised Ansel Elgort in his career-turning performance, and people loved the soundtrack of the movie itself. "Transformers: The Last Knight," "Pirates of the Caribbean: Dead Men Tell No Tales" and "Alien: Covenant" all underperformed at the domestic box office. Audiences at home seem to be sick and tired of sequels, although those particular 3 raked in huge overseas. Disney's summer roster included "Guardians of the Galaxy Vol. 2," "Pirates of the Caribbean 5" and "Cars 3," all big blockbusters that raked in the big bucks -- although "Pirates" came in big overseas. Paramount received a blow this summer: "Baywatch" and "Transformers: The Last Knight" bombed domestically. Of course, international box office came to the rescue, but both movies were widely panned by critics. The horror genre is one of the most sustainable genres in the industry as it keeps proving that low risk-high reward pays off. "Creation" over-performed when it opened and also received pretty decent reviews. LOSER: "Valerian and the City of a Thousand Planets"
Luc Besson's latest sci-fi fantasy didn't do well domestically or internationally. It has only grossed around $172 million worldwide to date although it was produced for around $177.2 million. Poor casting, an unfamiliar story and the fact that "Guardians of the Galaxy" opened right before it could've been reasons it failed to launch. "Baywatch" was filled with hot bots, but all eyes seemed to wander towards Zac Efron's abs. The actor underwent a heavy workout regime and diet to look like that -- and we appreciate it. As previously mentioned, "The Last Knight" failed to launch at the box office. Not only did it rake in significantly less than its predecessors, but it was also widely panned by critics. However, Paramount doesn't seem to care about audiences growing tired of the franchise -- a spin-off, "Bumblebee," is already in the works. Even though "The House" bombed, Warner Bros. has had huge successes this summer, of course including "Wonder Woman" and "Dunkirk." The movie adaptation of one of Stephen King's most famous works unfortunately failed to resonate with audiences. It somewhat underperformed and critics didn't love the film starring Matthew McConaughey and Idris Elba. Newcomer Tiffany Haddish received a lot of praise for what critics called a "breakout" performance in "Girls Trip." This year's Memorial Day Weekend was the worst since the turn of the century in terms of box office. According to numbers from comScore and Box Office Mojo, the 2017 Memorial Day weekend totals only amounted to $180.6 million, down 12 percent from the $205.4 million made last year and 43 percent from the record-setting $314 million made in 2013. "Girls Trip" succeeded where other adult comedies failed. Directed by Malcolm D. Lee, the film has posted the biggest opening in the genre so far this year with a final tally of $31.2 million. 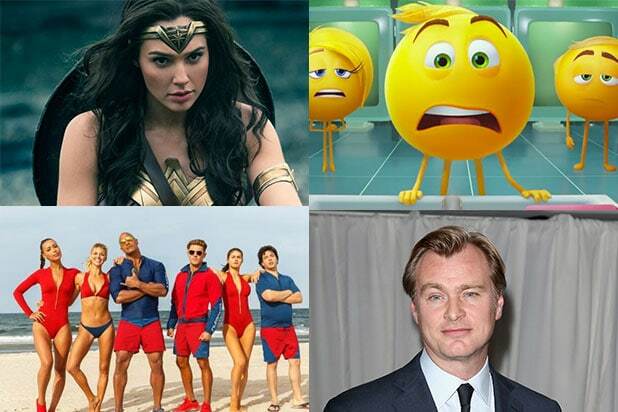 Yes, "The Emoji Movie" scored $25 million its opening weekend, but it was widely panned by critics and became the worst reviewed movie of the summer. Illumination killed it this summer with "Despicable Me 3," which propelled the franchise into becoming the highest grossing animation franchise ever. 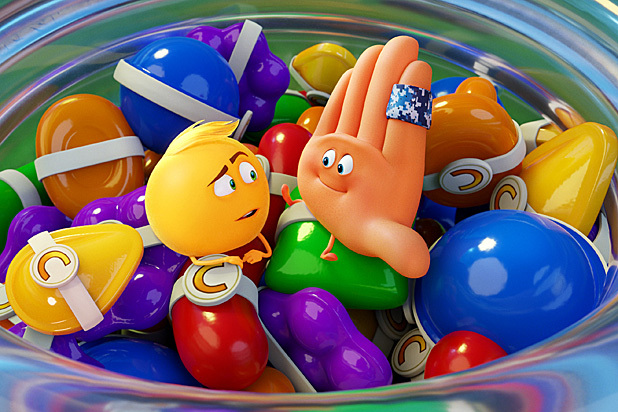 The studio got hit with a double whammy this summer: "Emoji Movie" and "Dark Tower" flopped, and the studio lost its $200 million slate financing deal with Texas private equity firm Lone Star. Sony's weak run at the box office was the main reason Lone Star bailed on the deal, but chief Tom Rothman didn't help matters when he plopped his feet on the boss' desk during a disastrous meeting. Jon Watts' take on the webbed superhero received a 92 percent Rotten Tomatoes score, has grossed over $737 million worldwide and has already spawned sequel. We'd say it's definitely a winner. Let's be honest -- August has been kind of a dud. In the past two weeks, no big releases were unveiled, and although mid-August through early September is known to be sleepy, this year has been exceptionally slow. According to The Guardian, this August is down 35 percent from last year. After the gloominess of “Batman v Superman” and “Suicide Squad,” a team of DC executives and creatives looked for a new guiding philosophy. Three executives — Kevin Tsujihara, chairman of Warner Bros. Entertainment, Greg Silverman, the former president of Creative Development and Worldwide Production and Diane Nelson, president of DC Entertainment and Warner Bros. Consumer Products — decided to give oversight of the DC film projects to the dynamic duo of Geoff Johns and Jon Berg. The duo helped "Wonder Woman" become this summer's smash hit and course corrected DC movies. Fall Box Office Preview: After Summer Crash, Can A Strong Season Save 2017?